Jennifer Harmon has had an accomplished TV career and is still active in TV. She starred in 21 episodes of CBS Radio Mystery Theater. 07/23/1974 0122 Adam's Astral Self The ability to project his spiritual self to other places while asleep annoys Adam Farr's wife to no end. When she finally leaves him, he comes up with the perfect plan to woo her. 09/19/1974 0150 The Garden A couple discover that they are imprisoned in a peculiar forest inhabited by two beings - a gentle lady and a bad giant. In order to escape, they request the assistance of the giant but soon realize that they committed a grave mistake. 04/09/1975 0253 The Altar of Blood A superannuated professor is obsessed with the mysteries of the Aztec civilisation. He decides to relocate to a new residence with his daughter whose mother was Aztec. But their new home hides a pyramid and they are accidentally sucked back in time through it. Now the father must witness his daughter sacrificed in an ancient Aztec ritual. 06/16/1975 0292 The Smile of Deceit A woman finds herself living with a strange tribe after marrying a rich and eccentric college professor. She is forced to participate in a bizarre ritual to appease the natives when she is accused of an extra-marital indiscretion. 08/11/1975 0324 Age Cannot Wither Her An elderly man returns to shore alone after taking his young wife on a sailing trip. He spins a fantastic tale about a fountain of youth when the local sheriff questions his wife's disappearance. 08/22/1975 0331 Terror in the Air When the whole flight crew of a commercial airline falls ill due to food poisoning, a doctor must find a way to land the plane safely as well as attend to a woman in the throes of labor. 10/24/1975 0367 The Summer People In search of a quiet place to work and improve on their respective crafts over the summer, an artistically gifted couple stumble upon Granville, an all-too perfect town that they have difficulty leaving - even when they want to. 01/01/1976 0406 One of the Missing On a reconnaissance mission, a Union soldier and his friend were sent to enemy territory. A freak explosion leaves him injured and assaulted with images of his own wake. 08/28/1978 0885 Will the Real Amy Stand Up? A young, psychotic heiress must face up to the fact that her relatives in her own house are trying to murder her. But an imaginary friend from her early school days comes back to aid her. 03/20/1981 1174 The Million Dollar Scam In order to scam a wealthy heiress out of a million dollars, a pair of swindlers must set their differences aside and work together. 03/25/1981 1176 The Ghost-Grey Bat After swapping homes with a couple from Austria for a year in order for the college professor to finish his book in peace, the two young New Yorkers move into the home. Before long encounter the terrifying guardian of the Austrian home and discover its gruesome secret. Jennifer Harmon was born on December 3, 1943 in Pasadena, California, USA. Jennifer Harmon first appeared on daytime 1/7/74 to 4/18/75 as Chris Kirby on "How to Survive a Marriage" rare footage on You Tube. from 1976-1978 as Cathy Craig Lord on One Life to Live. 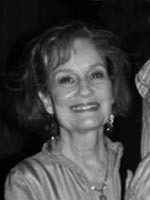 Harmon returned to OLTL in the early 1990's to play Viki's attorney and in 1991 played Jean Weatherill on Guiding Light. Harmon's last daytime role was on Loving as Lucretia Jones. Harmon's most recent acting credit was in a 2010 episode of The Good Wife. She is an actress, known for One Life to Live (1968), Guiding Light (1952) and How to Survive a Marriage (1974). Jennifer Harmon was born on December 3, 1943 in Pasadena, California, USA. She is an actress, known for One Life to Live (1968), 'M' Word (1996) and Oz (1997), Guiding Light, Jennifer Harmon first appeared on daytime 1/7/74 to 4/18/75 as Chris Kirby on "How to Survive a Marriage" rare footage on You Tube. Harmon's most recent acting credit was in a 2010 episode of The Good Wife.